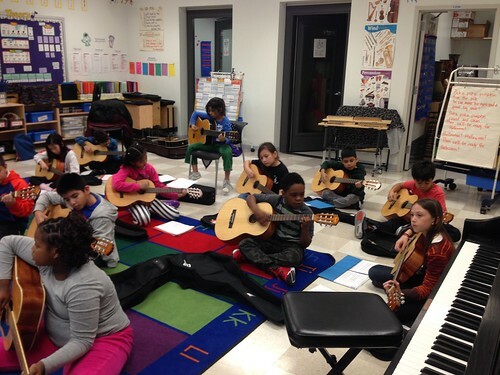 Our Intermediate Guitar Class is part of the modern band movement sweeping the nation led by the Little Kids Rock company. 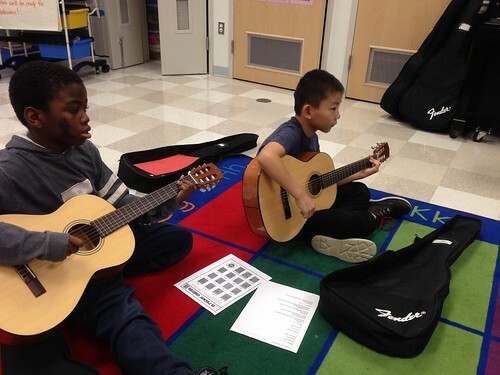 Any student in grades 3-5 who is enrolled in Abundant Waters and has successfully taken our Beginning Guitar Class can join! 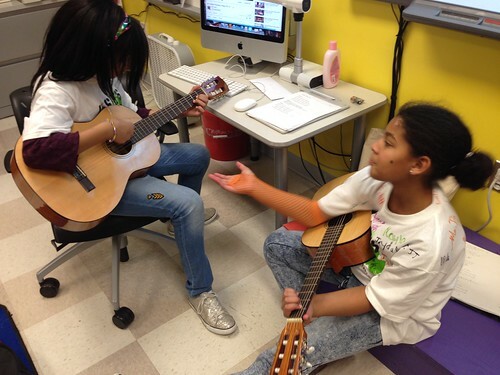 We meet on Tuesdays from 3:45-4:30. 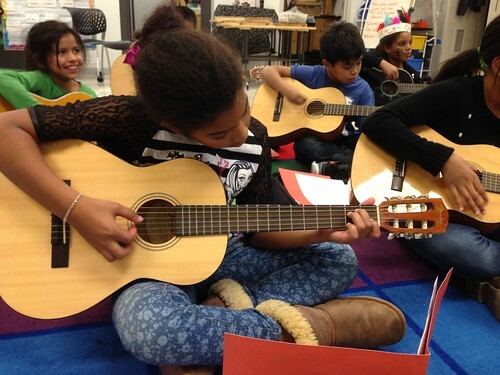 Students in Intermediate Guitar will learn how to strum and fingerpick 8-10 chords, experiment with improvisation, write their own songs, tune their instruments against the piano and with an electric tuner, sing and play, analyze harmonic progressions, transpose tunes, and have a blast learning to play their favorite rock and roll songs! 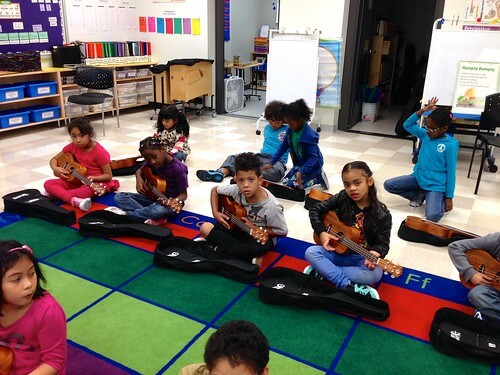 Visit the Little Kids Rock website to find some great guitar music, play music games, and see wonderful lesson videos on chords, improvising, taking solos, and more! 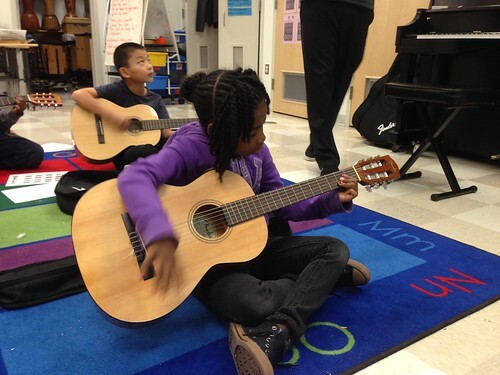 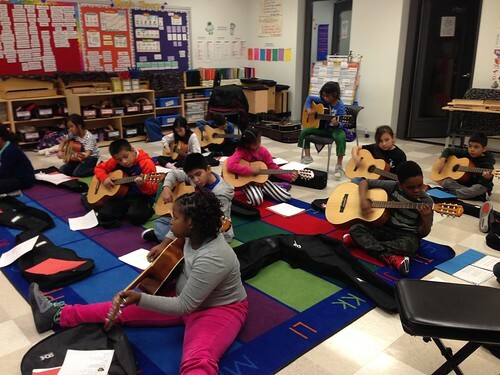 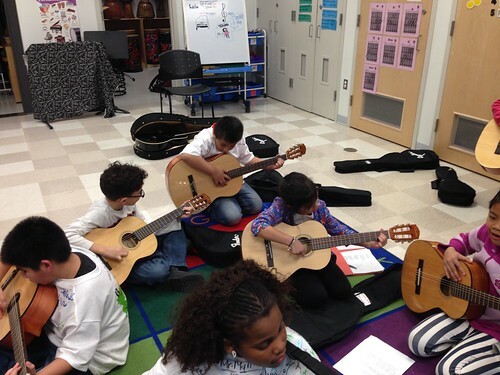 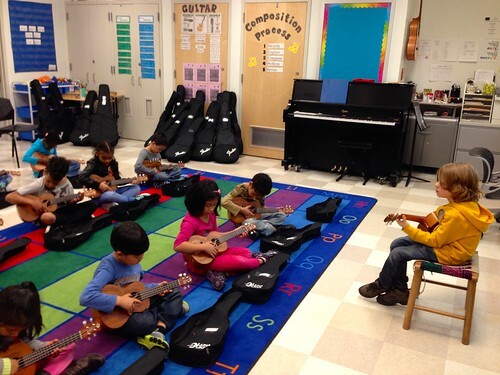 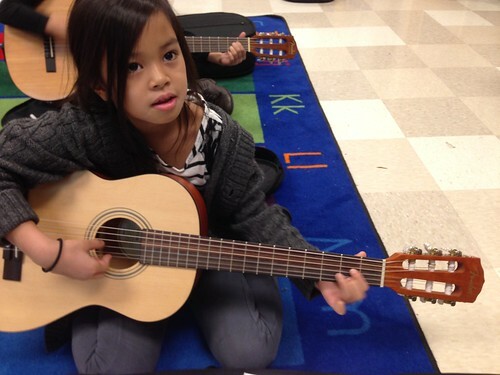 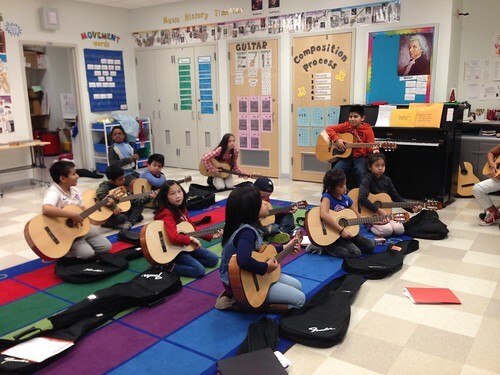 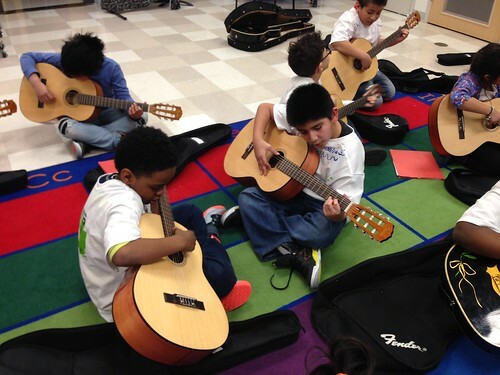 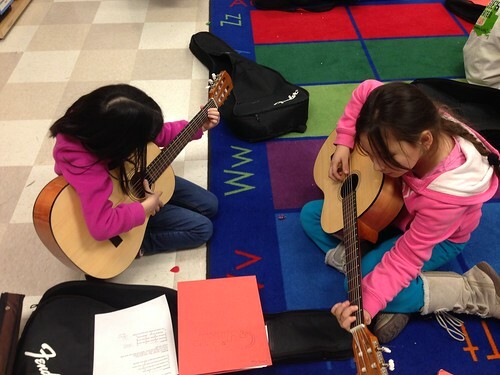 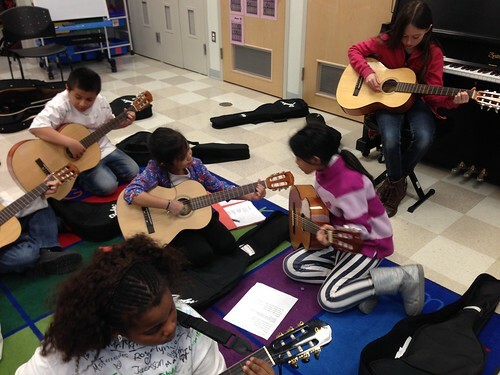 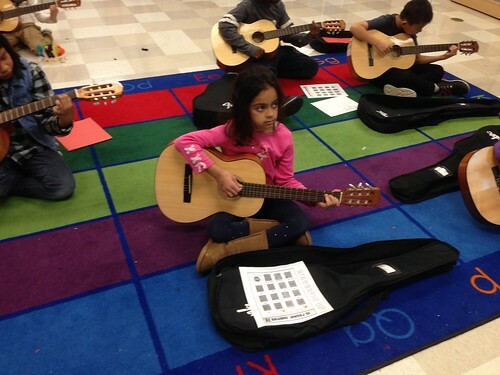 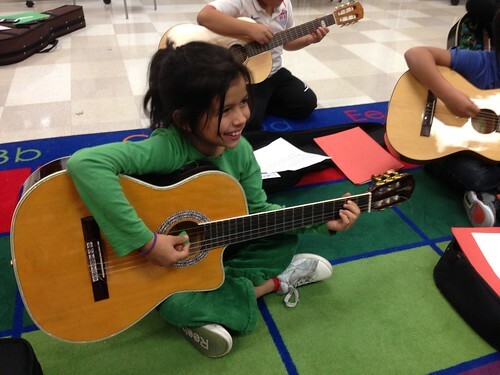 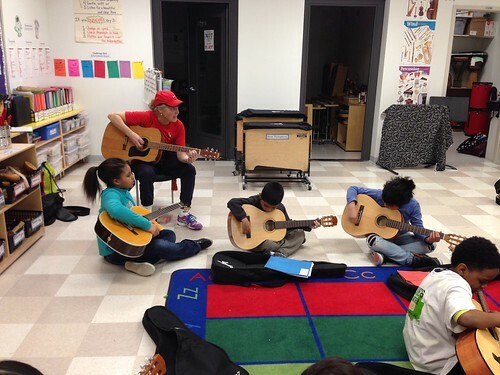 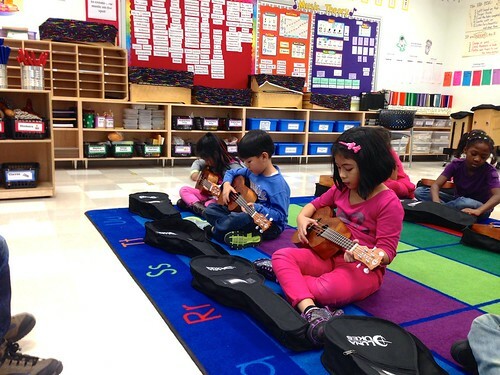 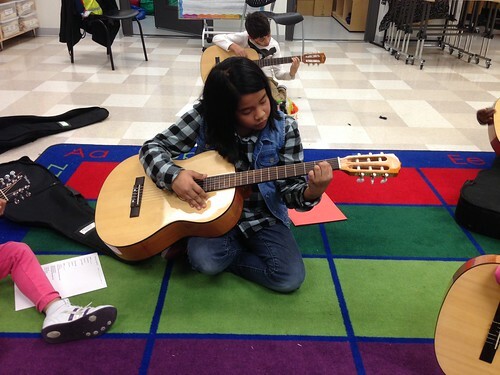 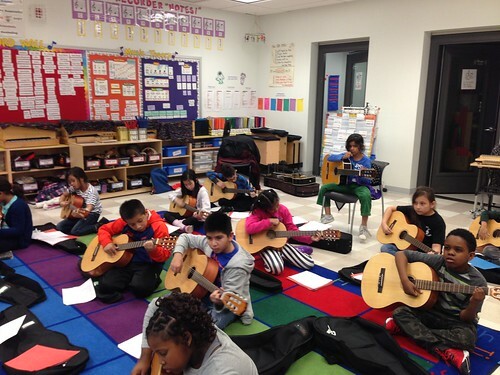 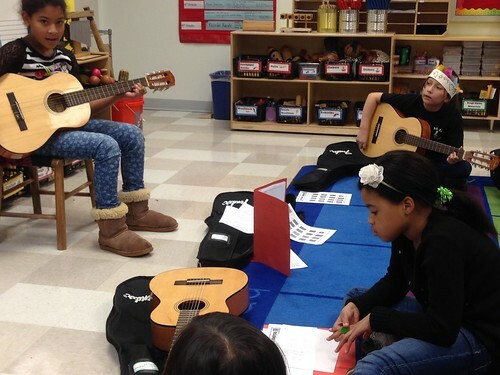 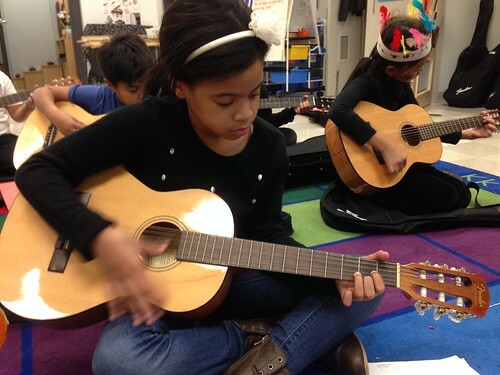 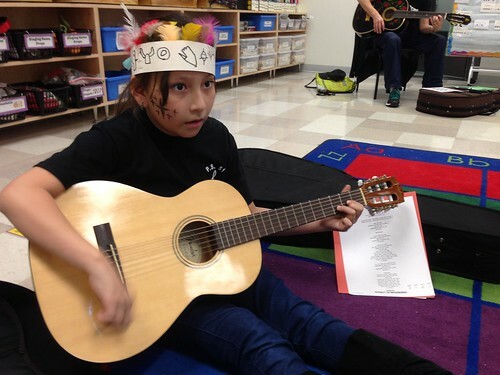 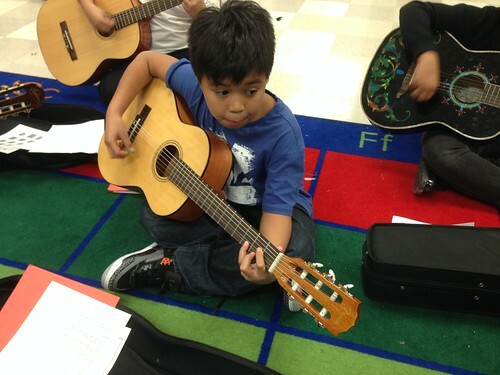 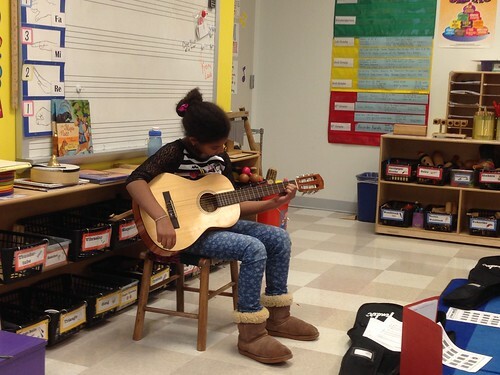 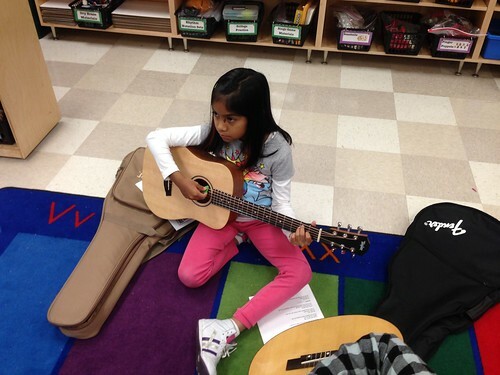 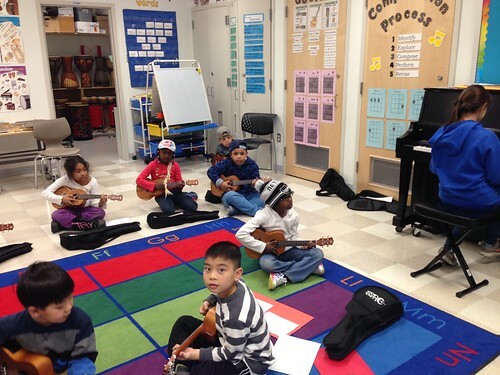 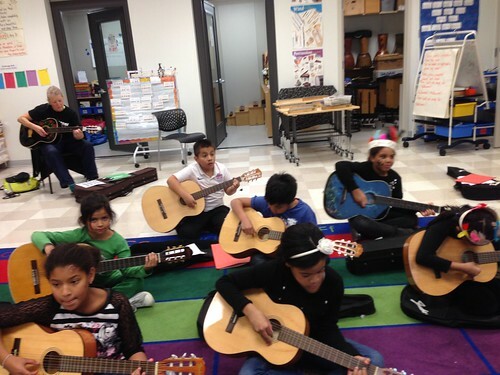 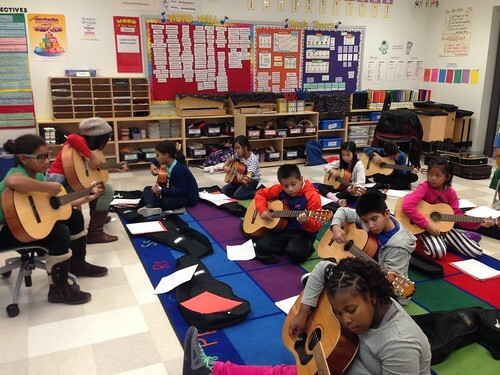 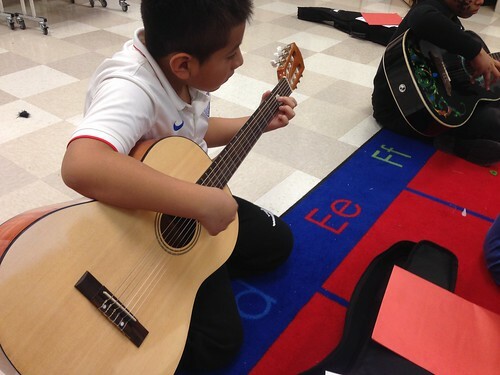 Through this program, our school has received 30 free guitars that our students use while they are in the class. 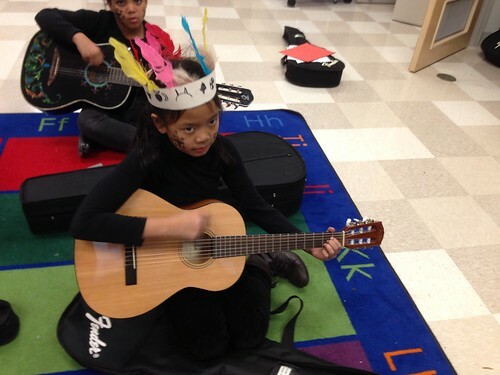 Thank you Little Kids Rock! 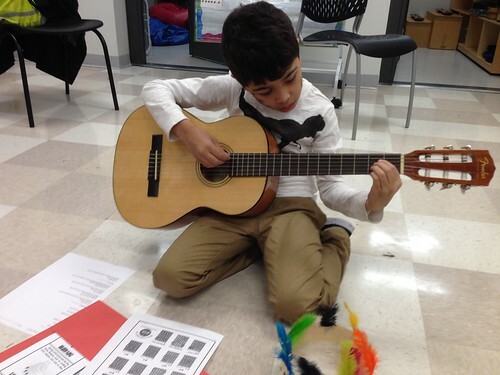 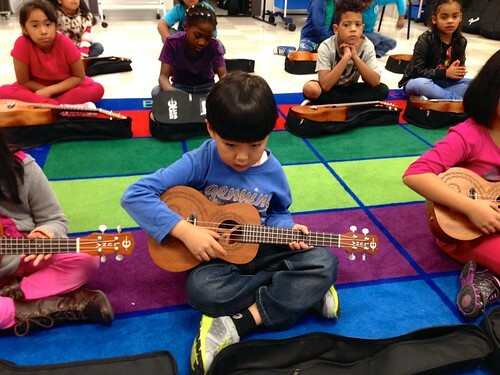 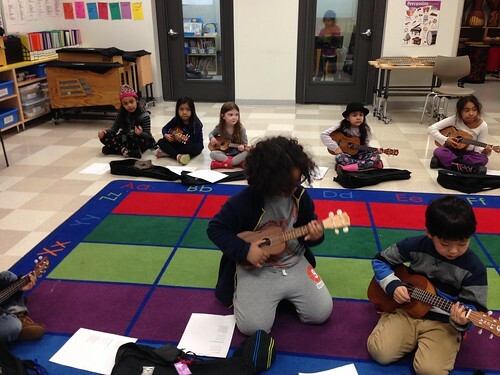 Many of our students have been composing their own songs (both instrumental and with lyrics) on guitar and ukulele. 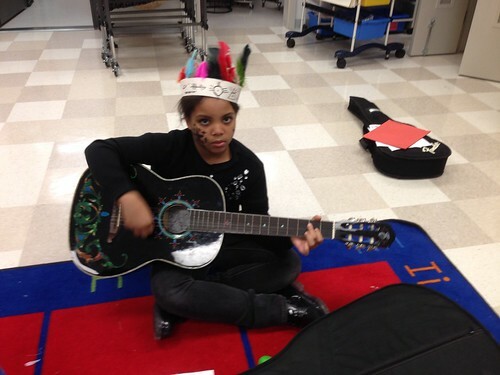 Check out this video of some of their entries into the Little Kids Rock songwriting competition May 2015. 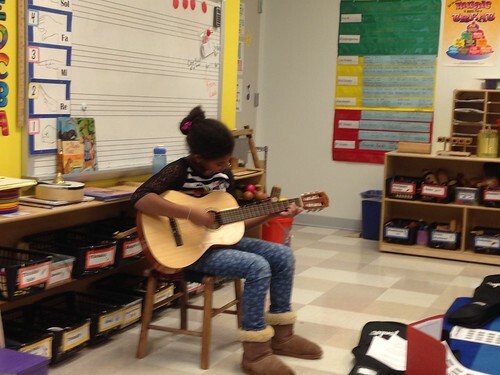 Click HERE to watch a video from class! 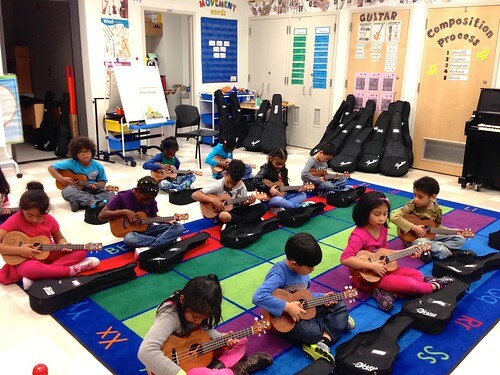 August 9, 2015 in Guitar and Ukulele Classes.